FBC Westfield is searching for a dynamic individual to lead the congregation in expressing its faith and love of God through a diverse music ministry. Under the leadership of the Senior Minister, the Director of Music Ministries exercises an important ministry. The Director of Music Ministries will be responsible for leading the congregation in a blended worship using a variety of music traditions and styles, including classical, traditional and contemporary, through the adult and children choirs, song leaders, hand bell choir, multigenerational orchestra, and praise band. 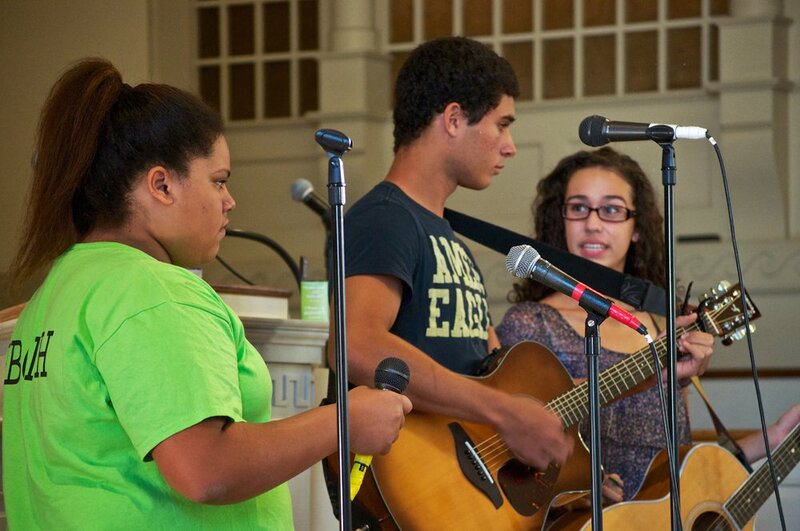 Facilitate the worship of God and nurture faith through the music ministry. Work directly with the Senior Minister in the planning and leading of worship and the music ministries. Select appropriate instrumental and choral music for each service. Rehearse and direct the various ensembles for Sunday services when each is scheduled to participate. Provide instrumental and choral music at additional seasonal and special services through the year. Provide music for services at weddings, funerals and other ceremonies. Secure substitute musicians if not available and secure musicians as needed for special music programs. Maintain the music, supplies and instruments of the church, arranging for maintenance, tuning and upgrades of the organ, pianos and other instruments. Obtain all copyright authorizations required by law for the music to be performed. Bachelor's degree in a music discipline is required. Have a minimum of 3 years experience as a church music director. Be an accomplished pianist; the ability to also play the organ is highly desirable. Have some experience with all age groups. Safe Church Policy, as well as other FBC codes of conduct at all times. Have computer proficiency to use current PC-based word processing, email, web browser, spreadsheet and music arranging. Lead the music ministries faithfully, conscientiously and responsibly with the ministers, committees and congregation. Schedule rehearsals and program times in support of overall music and worship. Schedule time for professional and spiritual growth. Allow sufficient time for personal needs, family responsibilities, exercise, relaxation and recreation and other interests. Monitor and maintain a good health regimen. All inquiries and resumes should be emailed to, firstbaptist.westfield@verizon.net, or you may call the church office and ask to speak to Pastor Mayra Castañeda at 908-233-2278. Thank you.